Forty-Five Days of Inspirational Nature Poetry! A Nature Journal that will take you on a journey of spirituality, environmental ethics, nature observation and tracking, and climate change. 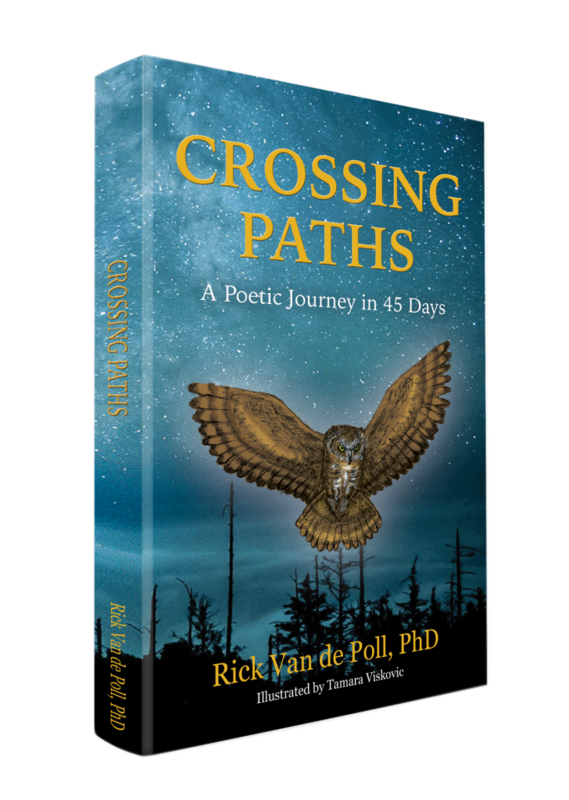 Every day for forty-five days, Rick Van de Poll invites you to experience his daily encounters with the wild things through his nature poetry. His stories will carry you into a fascinating realm of ecology, and offer a unique perspective on some of the most pressing threats to our natural world in this age–climate change, destruction, and environmental ethics. This illustrated book of nature poems is an expression of nature as seen from the eyes of someone who has devoted his entire life to the service of the natural world and his connection with spirit. Rick’s contribution to nature writing will act as a reminder that we shouldn’t ever forget our responsibility as a species to act as conscientious stewards for the planet. Inspiring! The author invites his readers to share his excitement about encounters with “wild things.” His poems and prose delight us with descriptions of the SO LOUD “wretched raucous recalcitrant reeling” of spring peepers, the headcheese quality of Conglomer-rock, the “fern compost soup” that drives our petroleum-fueled engines. And he inspires us to respect and care for the planet. I loved Crossing Paths and will read it again and again! Each poem in this volume tells a story. These poems evoked many different emotions in me. There are poems here that had me laughing with glee (Spring Peepers is one of my favorites). There are poems here that made me sad. There are sacred poems, sweet poems, artsy poems – Rick runs a broad gamut with his verse. All are of our glorious Earth and the wondrous flora and fauna which call Her home. There are poems that introduced me to critters I had not previously met – or facets of them I had not previous contemplated. These poems enlivened many reflections in me about our wild lands. I had a thoroughly enjoyable journey through these poems. I am sure I will savor this volume many more times in the future. As a former teacher I would recommend this book for any class library. 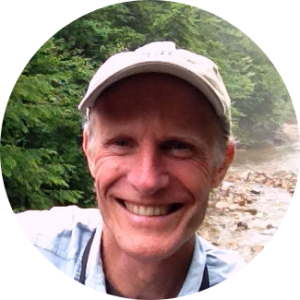 Dr. Van de Poll not only uses great language to depict the beauty of our natural surroundings in his poetry, but also demonstrates the “teachable moment” after each episode. I especially appreciate the diversity of subjects from fairy shrimp to conglomerates to fantastic fungi. In our blinding, techno world “Crossing Paths” is a breath of the out doors with a message of hope.